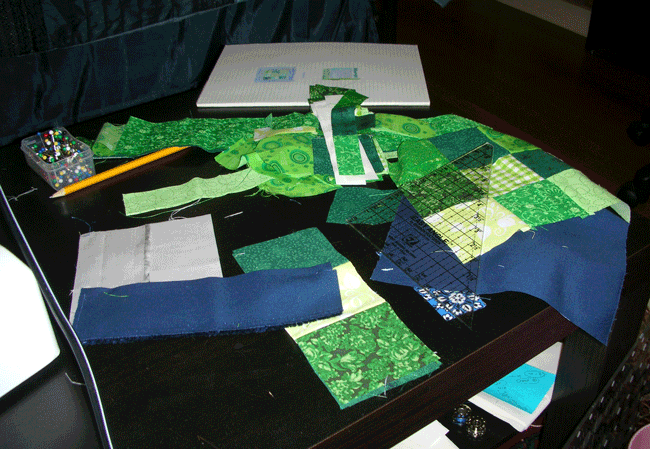 When I first saw this Scrap Attack Quilt-Along I thought there was no way I’d have enough scraps to do anything with. But minis/baby quiltes are okay, so I’m going to go for it. I’m using scraps from the Nine Patch Lattice Quilt a couple of solids and neutrals from a scrap pack I bought from FabricWorm and a little bit of blue leftover from the solid colored blocks I’m adding to the Simple Math quilt. 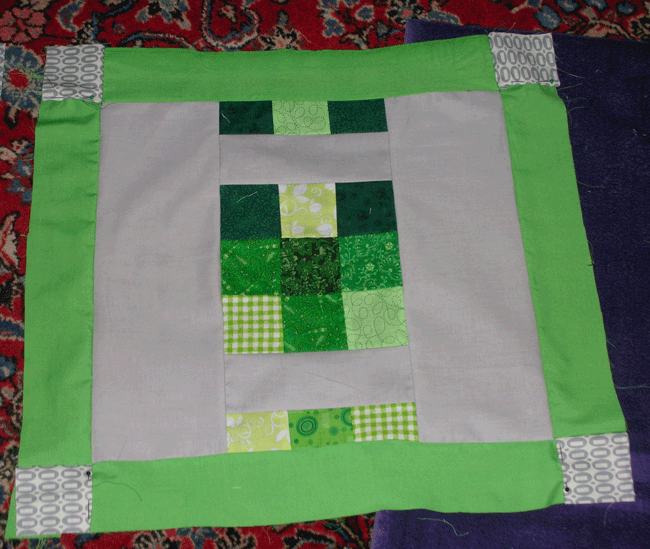 I’m not really planning this out in advance, other than basing it around nine patch squares. This is a bit odd for me: usually I want to know everything about a pattern well before I start, and exactly how things go together. It turns out it’s kind of nice to just throw a few pieces of fabric together, add something else to the edges and see how it works. 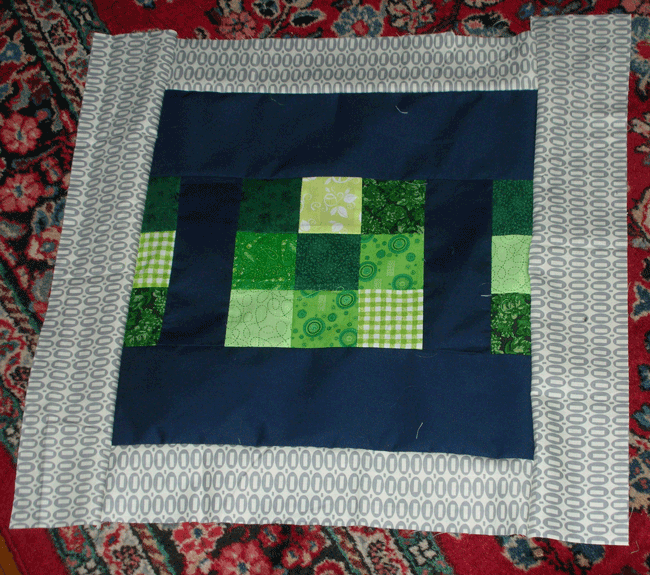 I’m figuring on doing four blocks and (if I have enough scraps of it) using the navy cotton as sashing. Backing I’ll figure out later — all you have to have finished is the quilt top, not the quilting, backing and binding. I’m just hoping I can get it all done by the deadline for Scrap Attack: next Monday! Eeeek! Next Next post: Scrap Attack quilt top finished!